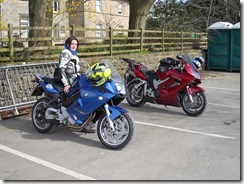 Yesterday Helen and I went on a rideout with NUKB to Reeth. Gary (Camsdad) was leading the run for the Yorkshire Region of NUKB which had started out at Squires Cafe earlier in the morning. Helen and I left home at around 10:00am and headed for Colne via the M66/A56 and the M65. In Colne we picked up the A65 again heading towards Earby. On the other side of Earby we turned right onto the A59 to Skipton. We took the A59 around Skipton turning left at the top of the hill to take the B6265 to Threshfield. In Threshfield we turned right and headed into Grassington and parked up in the main carpark to wait for Gary and the rest of the Yorkshire group to arrive. The Yorkshire group arrived around 11:50am and we set off back to Threshfield and the B6265 to Skipton. Just in Cracoe we turned right onto minor roads heading for Malham Tarn. We pasted through Hetton and Airton on the way and after passing Malham Tarn went over the tops to Langcliffe. In Langcliffe we turned left onto the B6479 and headed into Settle to drop in on the Macmillan Cancer Breast Way Round girls. After showing our support and re-fuelling we took some of my favourite roads the B6479 and the B6255 via Ribblehead viaduct to Hawes. 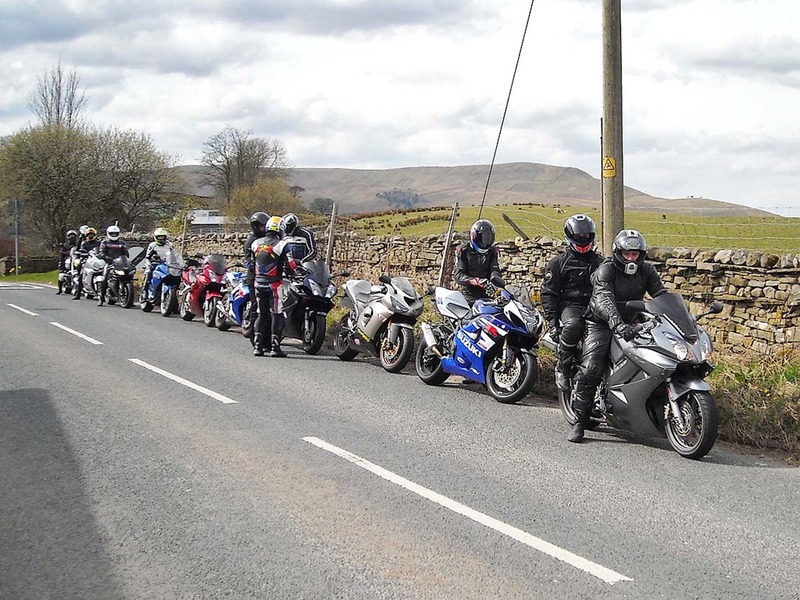 We went through Hawes (which was packed with bikers) and turned left and took the road over Buttertubs Pass to Muker. At Muker we joined the B6270 and headed for Reeth for our lunch stop. 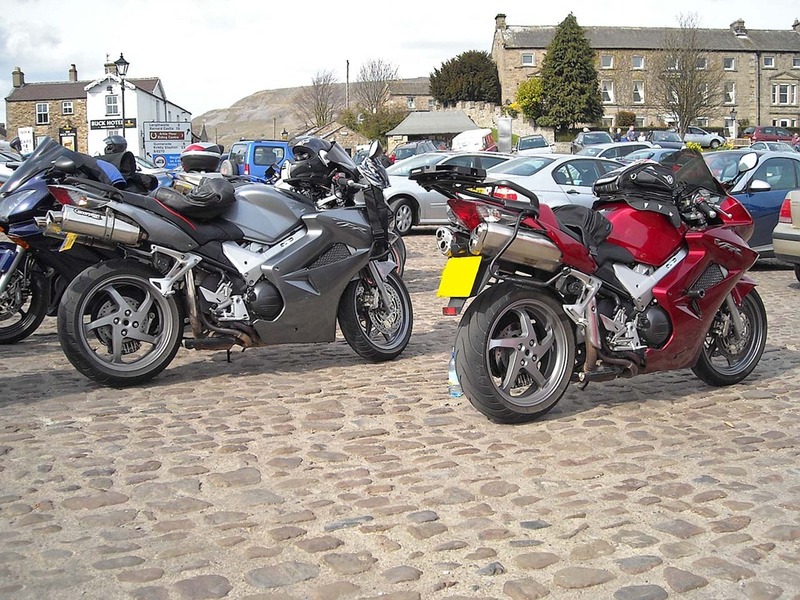 By the time we got to Reeth it was after 2:30pm and all the pubs had stopped serving food. Helen was not impressed as she could not get anything healthy to eat apart from 2 Bananas. 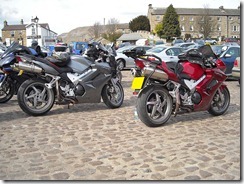 We left Reeth and headed on the B6270 for Masham after meeting up with DocB and CorgiKev. We cut across from the B6270 after Grinton onto the A6108 to Leyburn. In Leyburn we continue on the A6108 through Middleham to Masham. 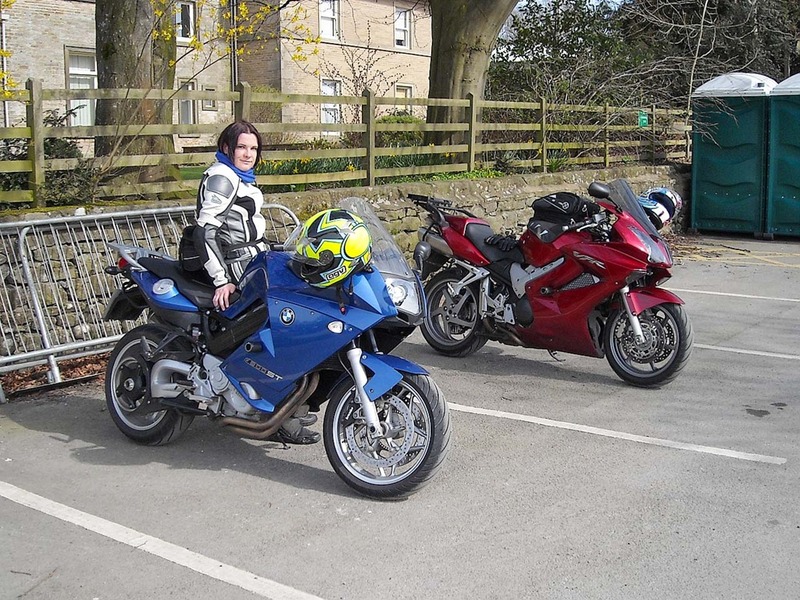 Helen and I left the group at Masham however confusion had arisen after we got entwined within another rideout. To make matters worse this rideout was all BMWs and our TEC was on a BMW. To cut a long story short half the rideout got broken up at this point and we lost touch with DocB and CorgiKev who we had arranged to ride back home with. 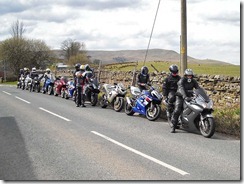 After Masham we took minor roads to Risplith where we joined the B6265 and headed to Pateley Bridge. 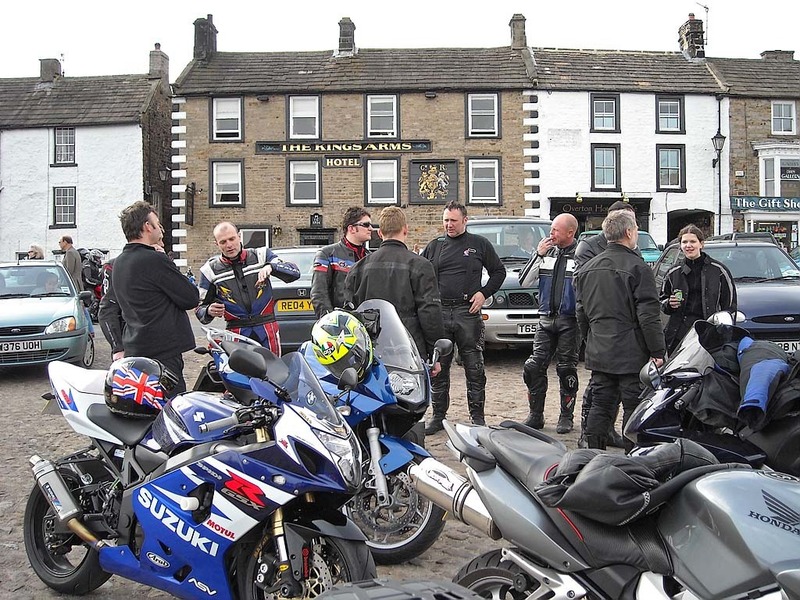 We continued through Pateley Bridge on the B6265 and passed by Stump Cross Caverns on our way into Grassington. We stopped in Grassington for a comfort break and then re-traced our earlier route via Skipton and Colne back home to Heywood.